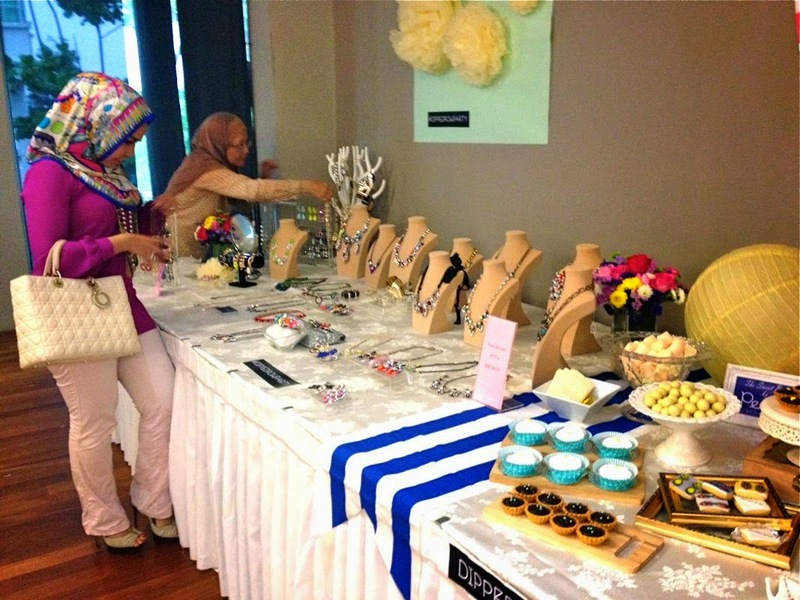 Shazwani Hamid's Blog: The Dipped Row Special Raya Sale! Anyway, I received an email a couple of days ago from Dipped Row - an online jewelry brand, that they're having a special Raya sale! You'd get 15% off on all orders above RM 100! How exciting is that! 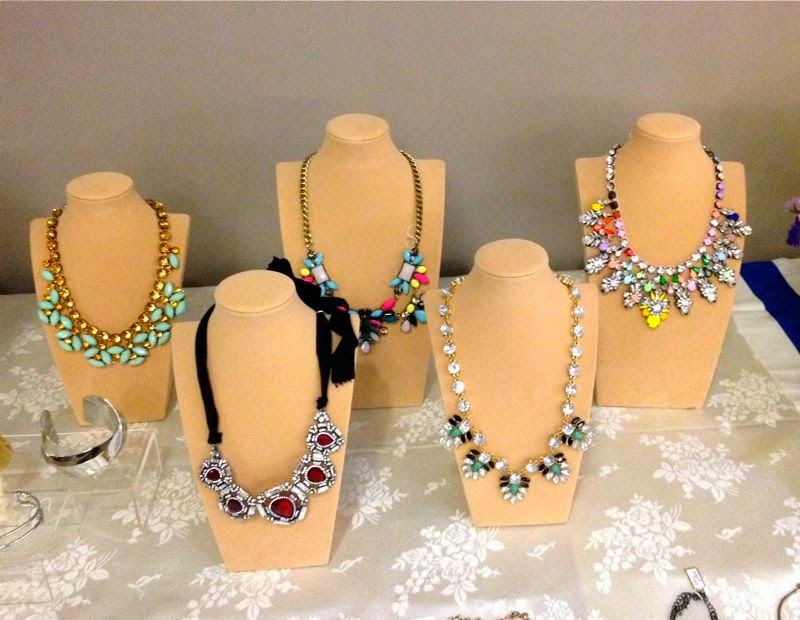 Looking at their head-turning collection, I already imagine what baju to pair the necklaces that I got my eyes on with! 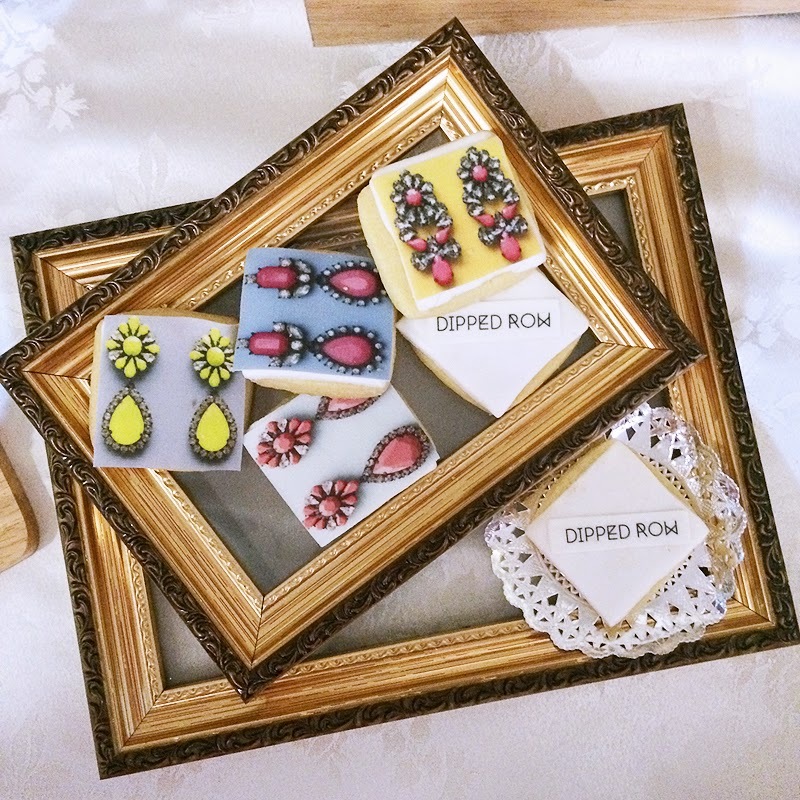 By the way Dipped Row was founded by three childhood friends, Karina, Azura and Lina, who are self-confessed jewellery addicts. 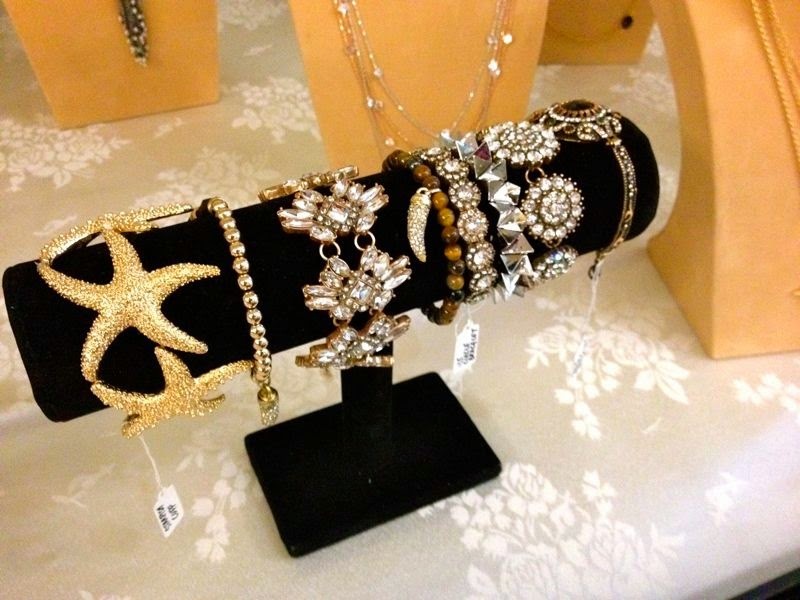 Every piece in the collection is personally curated to showcase a glimmer of their different personalities and style. Their collection features distinctive yet versatile jeweleries, from simple dainty bracelets to head-turning statement necklaces that would surely complement and elevate any ensemble. Necklaces and earrings are embellished with crystal clusters, floral patterns and brightly colored resin stones, while the bracelets are swathed in exotic stingray, phyton and ostrich leather! Every piece is drool-worthy! Let me just show you a glimpse of what kind of items do the brand carries! - You would want to see more! Look! 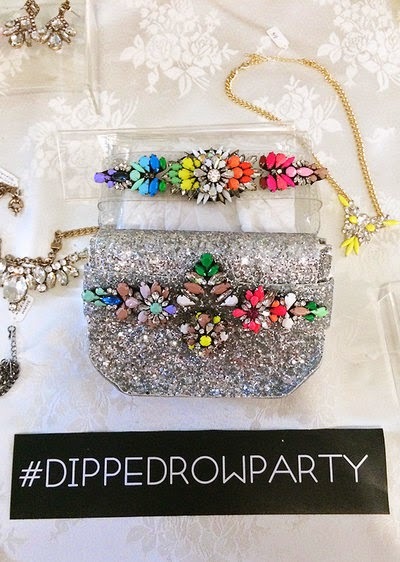 Love this Glitter Bug clutch! 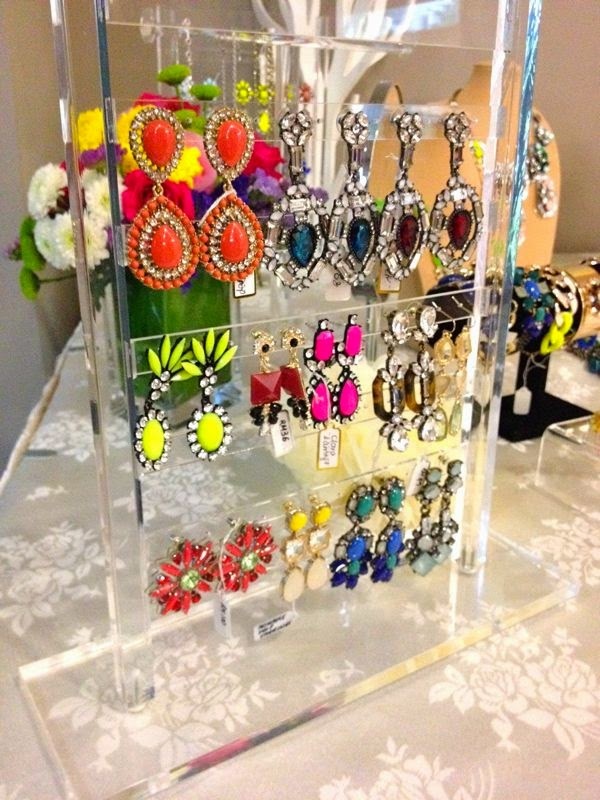 How I wish I can display my jewelry collection like this in my wardrobe! 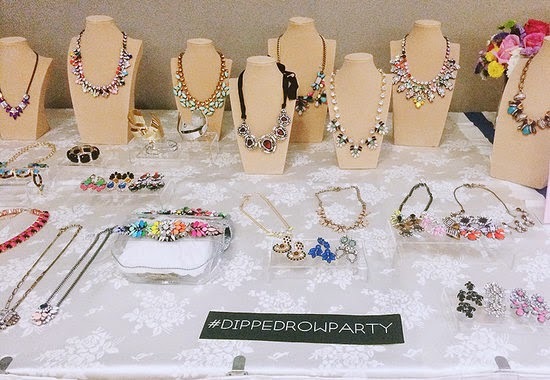 Can you imagine..having rows and rows of sparkly colorful necklaces right in front of me?! I love this clutch!!! So chic and edgy! 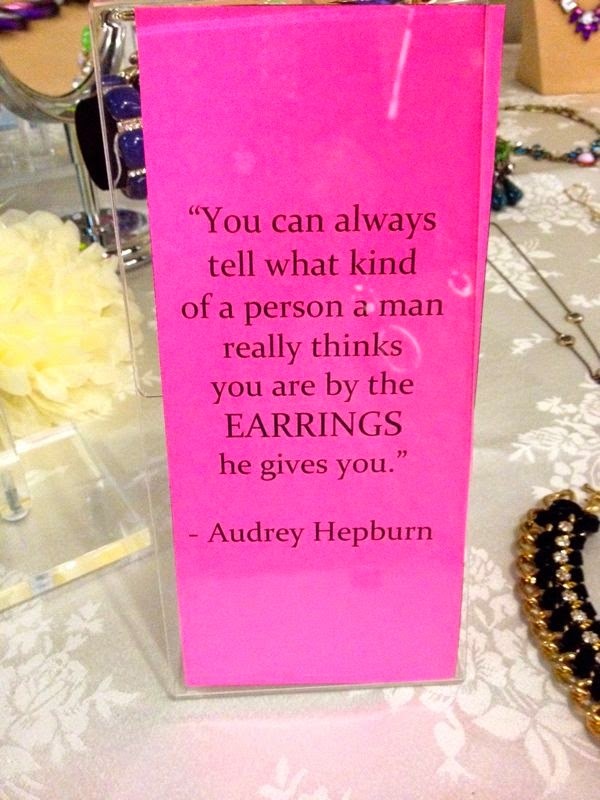 Nope, these are not earrings! These are sugar cookies! Now these are the real frosted candies/cupcakes! They were real yummyyyy! 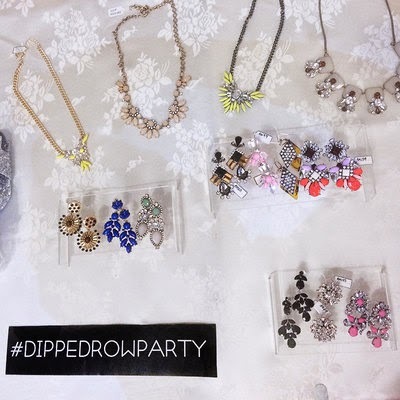 By the way, one of the coolest thing we did that day was to customize our own jewelry! 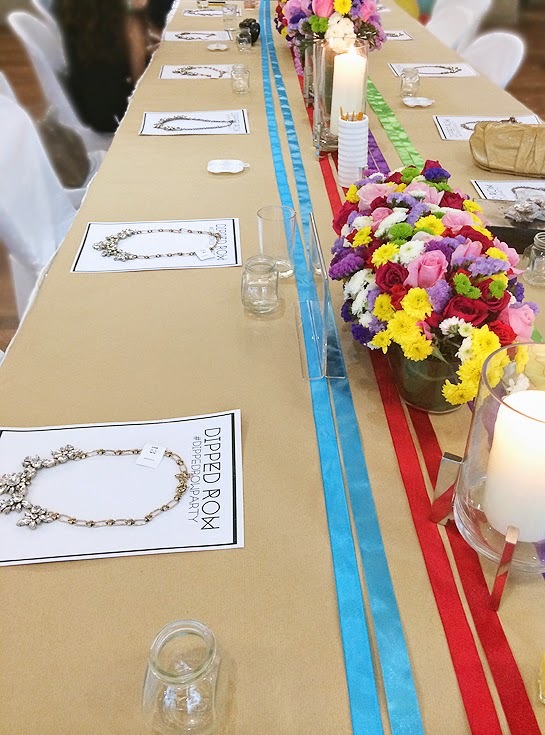 We were given the opportunity to choose any piece of Dipped Row diamond necklace that was laid on the table, and give it a little makeover by painting it with nail polish! - How awesome is that? I have never thought of doing that before! 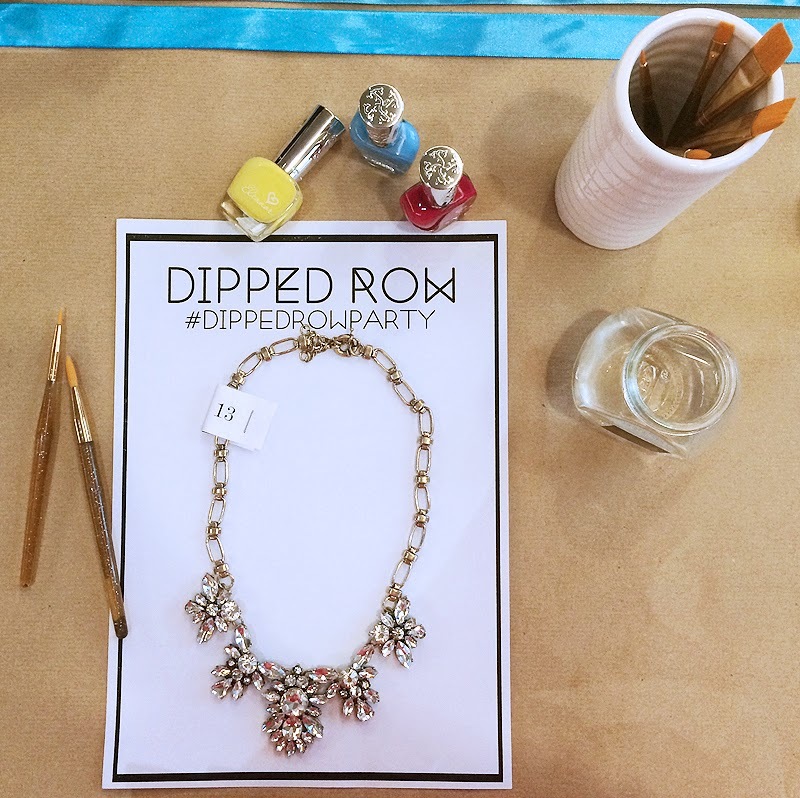 Now that I've done this, I might start painting and coloring my other necklaces that I have at home as well! I love this idea! It's brilliant! 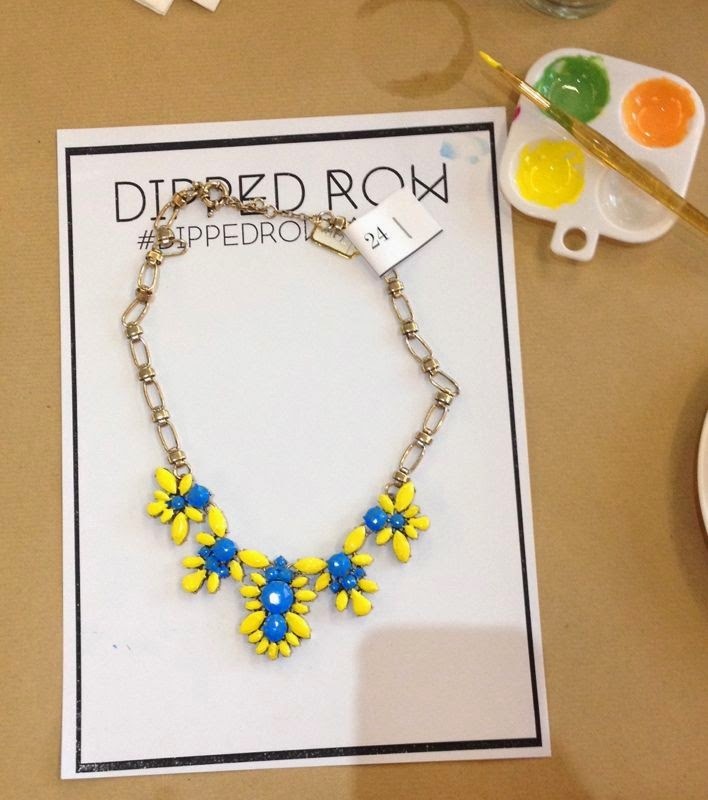 I chose to paint my necklace in blue and yellow since I don't have any yellow necklaces in my collection.. I was one of the winners for the contest! Yay! More Dipped Row items for me! hehe. The two winners! Yeay I'm one of the them! Thank you ladies for inviting me! I had a lot of fun that day!! One of the best events I attended this year! 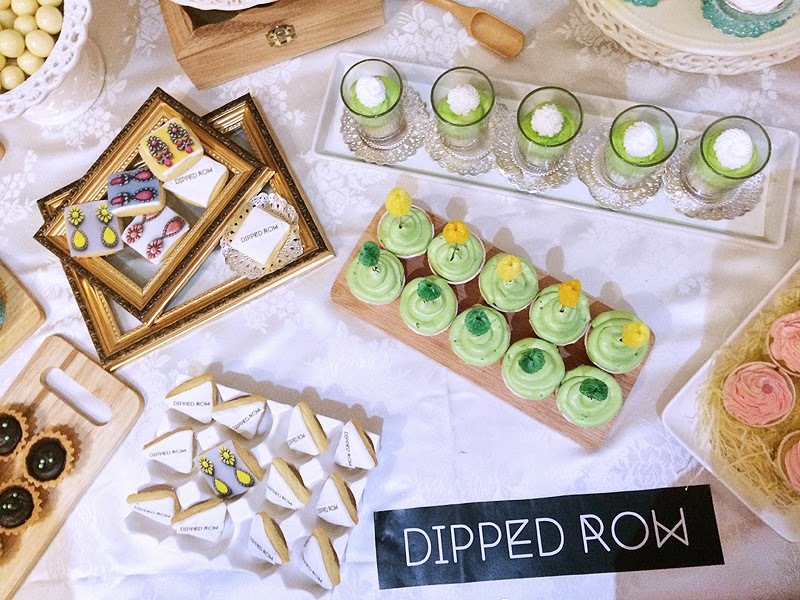 So...With Hari Raya approaching, I would like to share with you about the Hari Raya sale by Dipped Row. They are offering 15% discount on all orders above RM100 from 27th June to 31st July 2014. So go ahead and check them out! Dipped Row collection are available online at www.dippedrow.com. They are affordably-priced, between RM30 – RM400 and they offer fast delivery throughout Malaysia, as well as a few selected international countries. 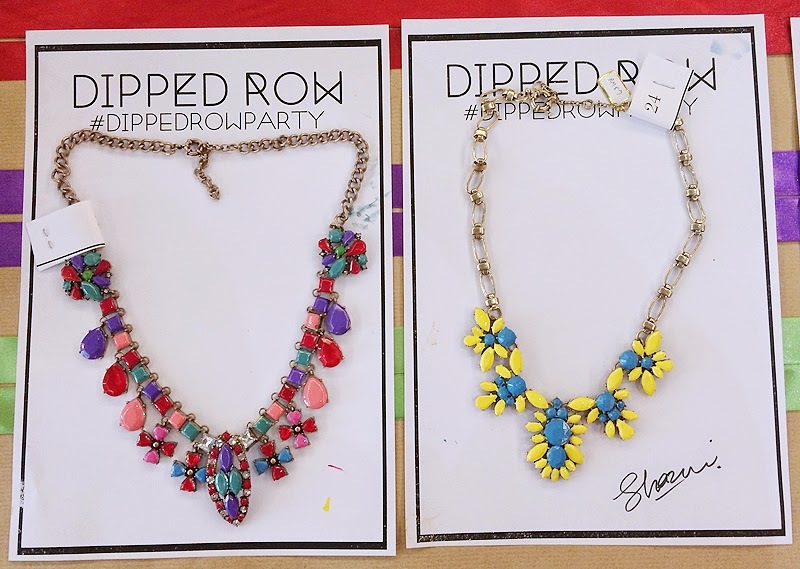 Shop their statement diamond necklaces now! Their head-turning pieces includes encrusted necklaces, statement earrings, jewelled bracelets and dazzling rings. 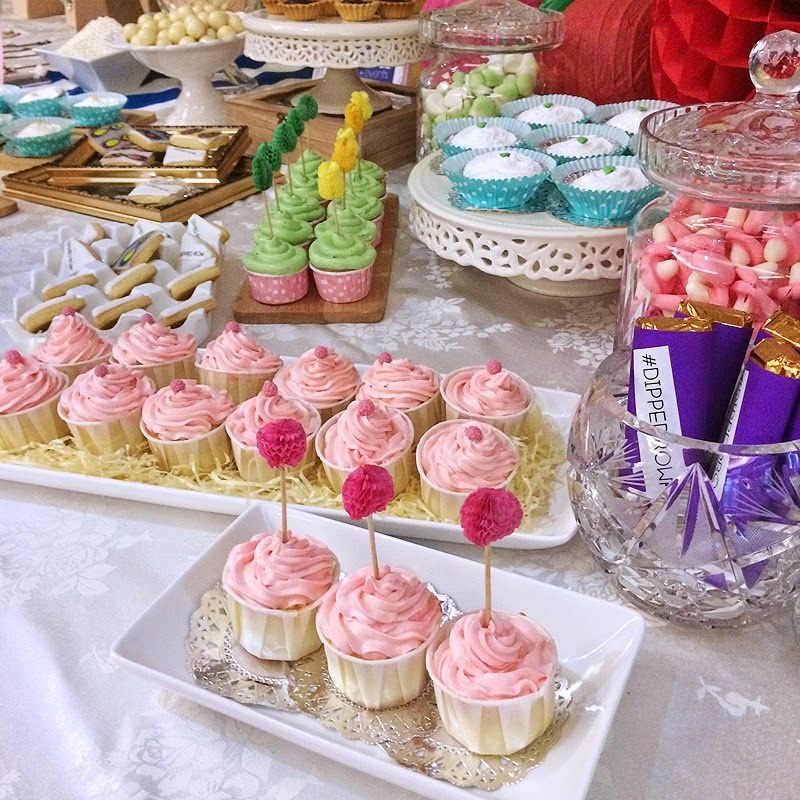 This collection is sure to make your Hari Raya a truly irresistible one! Happy shopping you guys! nice bag, wani! i saw in starhill, it cost about 15k!!! O__O You're such a lucky lady!